I began my week by standing outside a very clearly shut S2 Gallery on St George’s St – ringing the bell in vain – for what was supposed to be the second opening of Sotheby’s Signals exhibition. We’re still not quite sure what happened but the steel shutters were not part of the show. Slight glitch aside, I spent my week in an office lobby between Hauser & Wirth’s London spaces, marvelled at Allyson Strafella’s new works and found myself in the midst of a jewellery parade around Elephant & Castle (and possibly also burnt my nose). As a Giacometti devotee, very little could prevent me from attending the opening of Spiegelgasse, Hauser’s new show curated by Gianny Jetzer. Talking its name from the address of Cabaret Voltaire, where the Dadaist movement originated, the show seeks to bring together Swiss artists from the 1930s to date. The survey does not aim to present an historical or chronological account of Dada’s influence. Rather, it reflects on the Dadaist and Surrealist exploration of fragmentation of surroundings and its assimilation by contemporary artists. 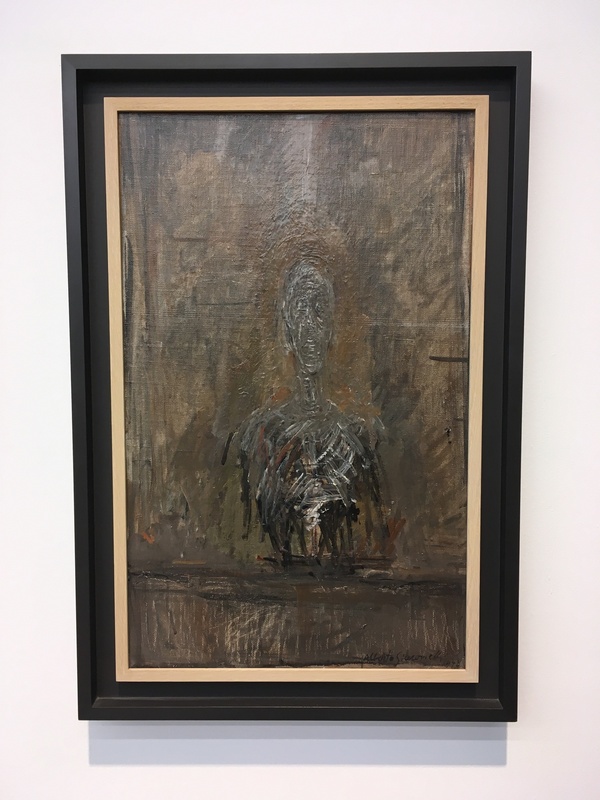 Starting with Giacometti’s ‘Buste’ we find a haunting figure emerging from the panel, barely distinguishable from the background. Yet the artist’s thin brush strokes, their layering, and in particular the added white pigments give the bust a skeletal quality, enhancing the figure’s ghastly appearance as an ochre aura makes us unable to avert our eyes from the unsettling canvas. 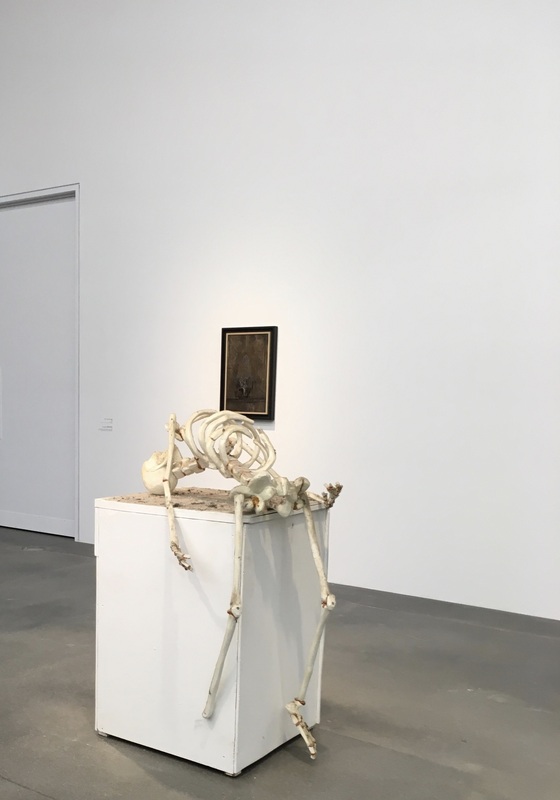 When we finally do, our eyes meet a mirrored wall and then a washing machine, upon which a skeleton is placed – this is Urs Fischer’s doing. In ‘One More Carrot Before I Brush My Teeth’ the artist addresses the inanimate objects that characterise our daily lives and creates particular narratives. Here the foam skeleton, its legs dangling, seems to arch its back in pleasure, its cranium tilted towards us inviting us to watch. The absurdity of the quotidian is perhaps even more evident in Manon’s ‘Salmon Colored Boudoir’. 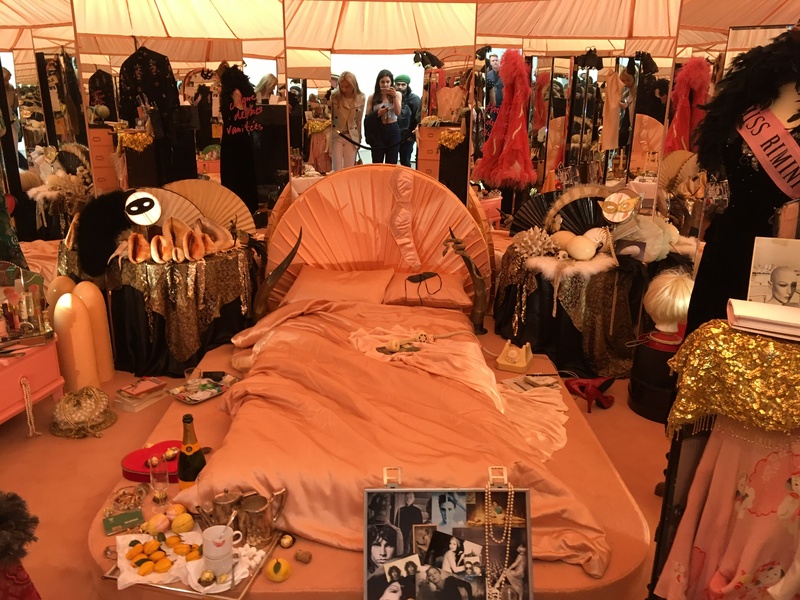 Here the artist amasses a series of items – memorabilia, clothes, wigs – to fill the mirrored pink interior. The mirrors around the boudoir and the photographs create a sense of disjoint, of fractured identities, illustrating the distance between an actress’s true self and her persona on stage – which is not dissimilar to the differences between our multiple modulates selves. 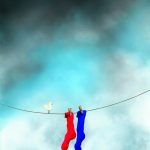 Spiegelgasse allows us to indulge in ambiguity and in the macabre with Spoerri’s ‘Tragédie Grecque’ whose rag doll, hanging from a frame, suspended is both lifeless and capable of possessing a disconcerting charge. As our own reflections appear across the gallery space, the show invites to engage with our refracted nature, our own fragmented selves. 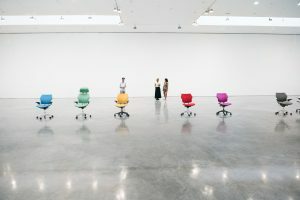 Prior to Spiegelgasse, I had been walking around Fitzrovia, eagerly awaiting the opening of Allysson Strafella’s new show, her first in the UK, at Bartha Contemporary. It was around 5pm and the door to the gallery was open, with the artist herself finalising the installation. I asked if I could take a look, conscious that the viewing was not scheduled for another hour, but was welcomed in. If the works at Hauser were imposing and in many ways controlled or were geared to manipulate our perception of them, the beautifully delicate paper compositions presented on the gallery’s white wall were for us to absorb freely. Two decades worth of works is presented in field, and Strafella’s minimalist drawings – emerging from the densely populated wall – truly moved me. 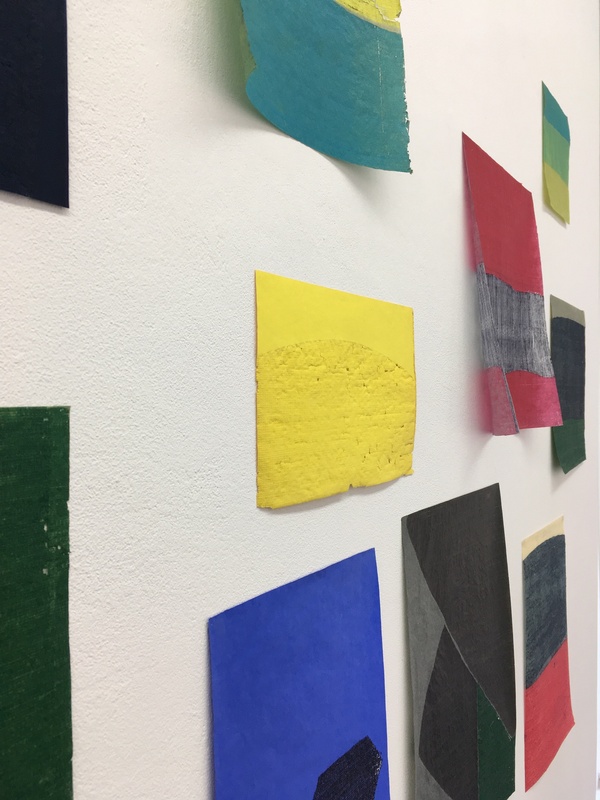 Whilst her use of bright colours and her ability to pair hues on its own is a testament to her artistry, the delicate nature of the handmade paper sheets is what makes these incredibly powerful pieces. In imprinting repetitive marks on each of the extremely frail sheets, Strafella creates abstract forms that retain the familiarity and assimilability of language. 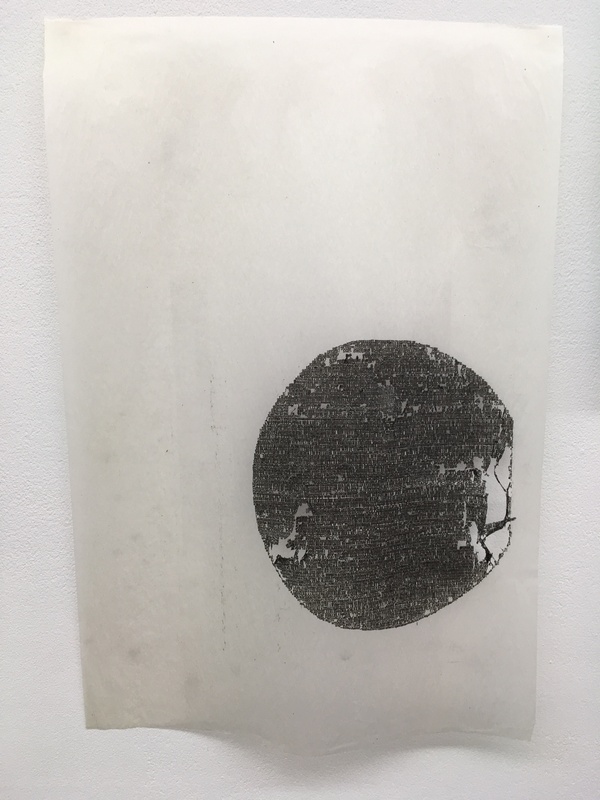 The artist uses typewriters as her drawing tools – allowing them to imbue the sheets with the desire to communicate albeit in a way that does not require any formal rules or linguistic constructs, one that can permeate our core. 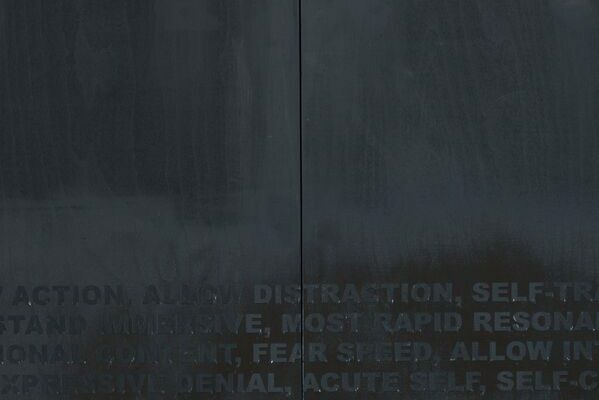 I focused greatly on the pierced surfaces, observing the fractures where the wall was visible, changes in the paper’s density, the broken strands, delicately handing within the composition. I felt incredibly fortunate to have seen the show with such bright natural light and quiet around me and upon leaving I felt immediately compelled to write in my journal, as Strafella’s field soaks through us, allowing our most intimate thoughts to surface. 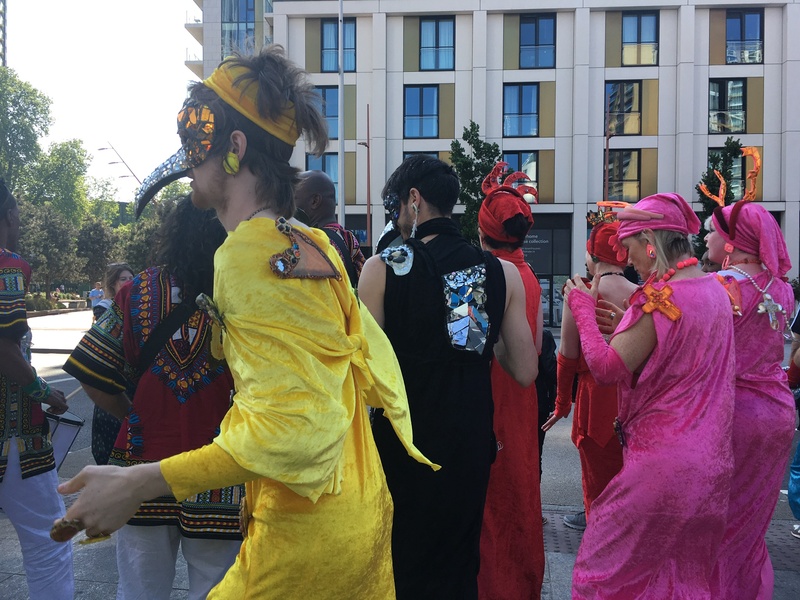 I left Strafella and her stunning hues behind and on Sunday made my way to Elephant & Castle’s Shopping Centre for a vivacious jewellery parade – Salon 63‘s first community art event. Whilst the full curatorial project will open in mid-September, across several beauty and hair salons on the bus 63 route, Galitzine collaborated with the incredible Andrew Logan whose jewellery performances are as wonderfully eclectic as his glass and mirror creations. As I walked through the soon-to-be-demolished centre, I could hear Banda Batuke, led by Xavier Osmir, playing a wonderful Samba. 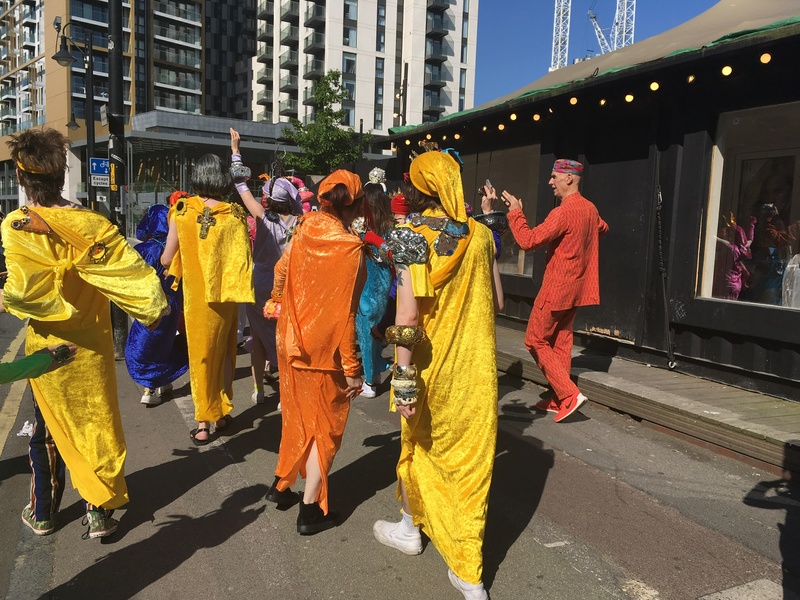 I approached the centre’s entrance and delighted in seeing the performers, wearing brightly coloured velvet costumes, dancing away, their jewellery creating incredible light games as they moved along. In line with Salon 63’s desire to engage with the local community, the performers were mainly recruited through an open call for participants. Following the first part of the parade we had a coffee break at La Bodeguita as casual visitors who were initially surprised to see a group of beaked masks and spider fascinators then partook in the dancing and celebrations. Logan’s pieces were marvelous to look at – I was particularly drawn to the monkey-creature necklace and the cross containing a watch whose face displayed the virgin Mary. His pieces often comprise objects found whilst traveling and have been included in collections by Comme de Garçons and Emmanuel Ungaro. Most importantly his love of life is incredibly contagious. 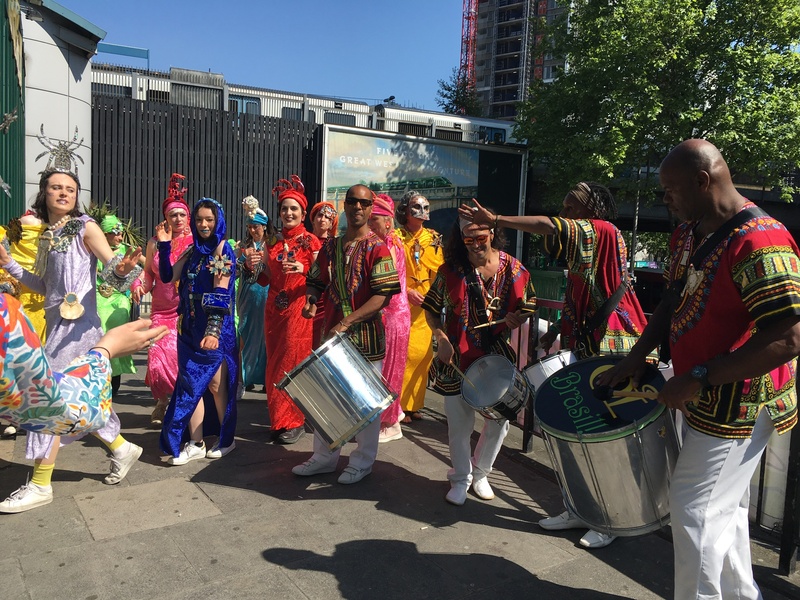 During the second part of the parade, as we danced around the shopping centre, en route to St Mary’s Churchyard, he engaged with his performers, with onlookers, smiled and pirouetted – enhancing the lighthearted energy that surrounded us all. One of my favourite moments was seeing a series of shoppers in Sainsbury’s abandoning their self-checkouts to glue their faces on the glass window, trying to understand what exactly was happening. With this as a preview event, there is no doubt Salon 63 will be ripe with fun initiatives and I am very much looking forward to September. Further information re Salon 63 can be found here and here. 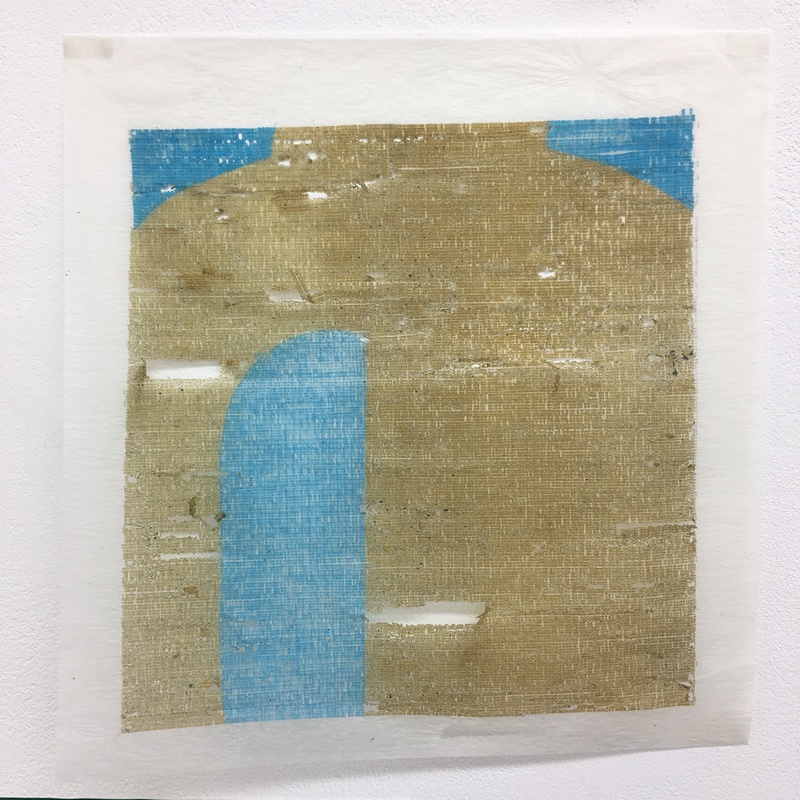 This entry was posted in Art Openings, Art Stuff London, My week in the art world, NEWS and tagged Alberto Giacometti, allyson strafella, Andrew Logan, Bartha Contemporary, Daniel Spoerri, galitzine, Hauser and Wirth, Manon, salon 63, Urs Fischer. Bookmark the permalink.